As the state witnessed one the most disastrous floods, thousands came in to help the flood-affected people contributing both in cash and kind. THIRUVANANTHAPURAM: As the state witnessed one the most disastrous floods, thousands came in to help the flood-affected people contributing both in cash and kind. Some people wanted to extend their help to the people directly while others were looking for other medium through which they can contribute to the relief works other than CM’s relief fund. Rising to the occasion, a group of people from different parts of state joined together through an Instagram page to help the victims. 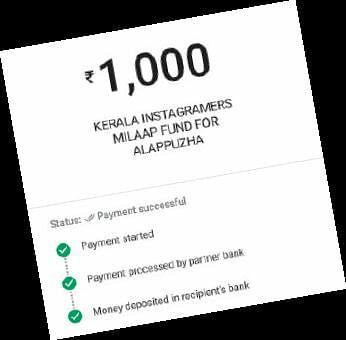 A campaign kicked off by the Instagram Committee of Kerala on the famed crowdfunding platform Milaap set a target of collecting Rs 1 lakh from the general public. “Even before the flood hit Kerala, we thought of creating a platform wherein people can contribute to the cause. We joined with the other groups in places like Wayanad, Ernakulam, Thiruvananthapuram and Kollam to help the stranded people,” said Sirajuddin Vyshyambath, one of the admins of the Instagram Committee of Kerala. The volunteers associated with Anbodu Kochi, the help service in Kochi from where the campaign organisers started collecting goods. They also worked with various help service stations working throughout the state. 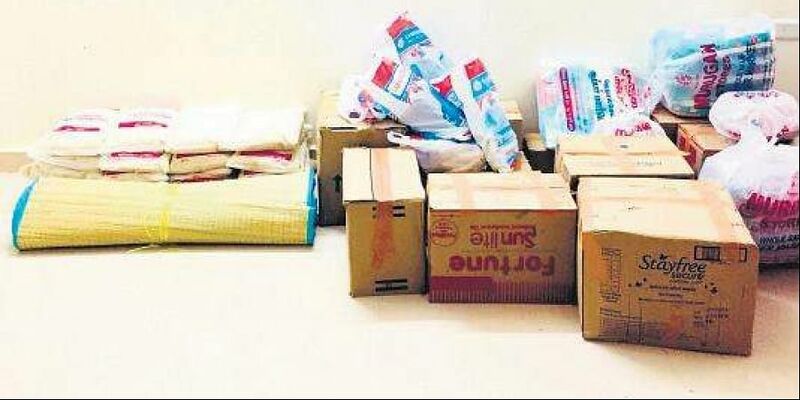 “ As the first stage of the campaign, we thought of distributing the relief materials such as food and clothes to people in Wayanad and Ernakulam region,” said Vijith, another member of Instagram group. The group carried out rescue and relief work in different places but they kept a proper record of the money collected thereby producing a proper receipt to crowdfunding platform Milaap. Their volunteers regularly visited the relief camps and enquired about the most required materials in each of the camps which included sanitary napkins, food, cot, medicines. At the initial stage, they collected Rs 10,000 and has now been able to successfully collect Rs 72,000. With the amount, they were able to reach people in the most affected regions and contribute to relief activities. The volunteers of the group are still busy reaching out to the flood-hit people.